Barbara “Bobbie” Handman, a former Vice President of PFAW and PFAW Foundation, died on Thursday. For years, Bobbie’s creative energy and fierce commitment to the First Amendment shaped the organizations’ free expression work from New York City, where she was based. 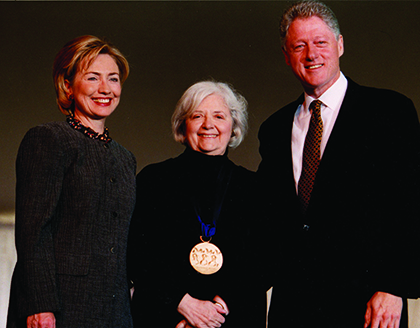 Bobbie’s long record of advocacy for free expression and the arts was recognized in 1998 when she received the National Medal of Arts from President Bill Clinton. People For the American Way extends its heartfelt condolences to Bobbie’s husband Wynn Handman and the rest of their family.